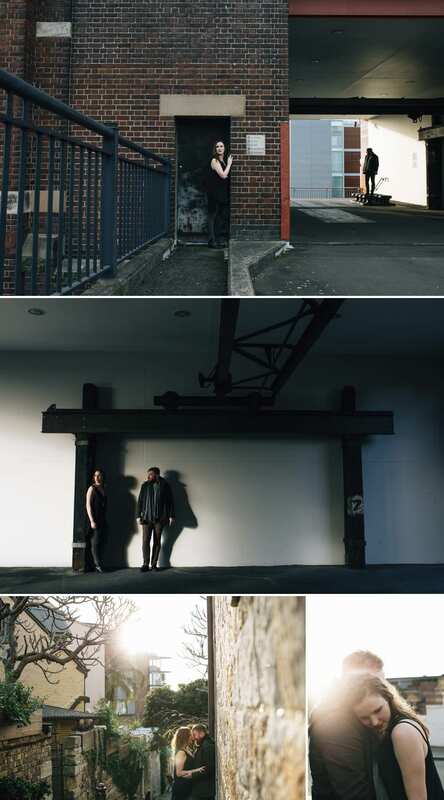 Meeting each other during the first year of a bachelor of architecture degree at UTS, Chris and Lis described their perfect Sunday together as one of exploring abandoned buildings and post-industrial spaces. 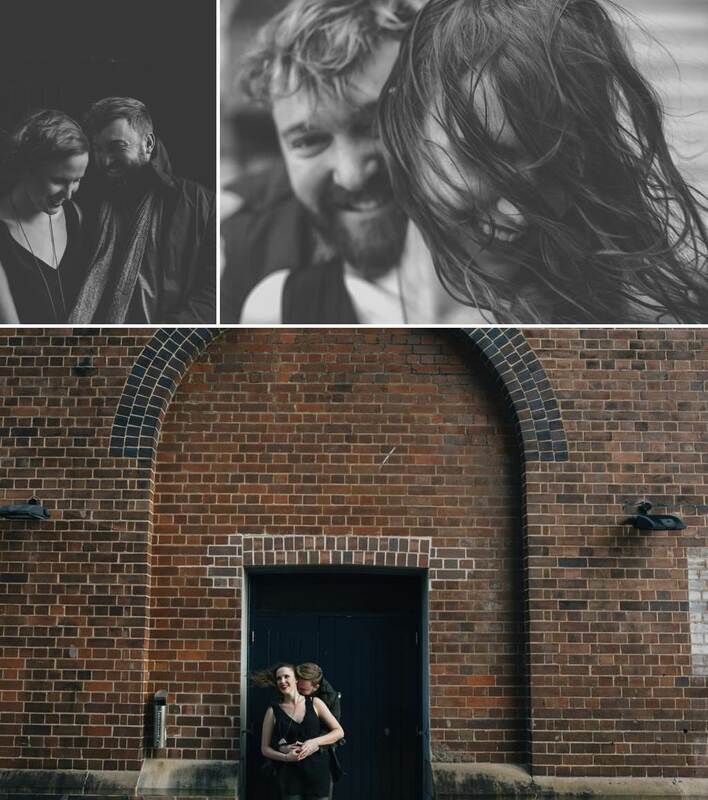 So it seemed only fitting we explored the surrounds of the Sydney Dance Company with the old warehouses and laneways for their love session photography shoot. 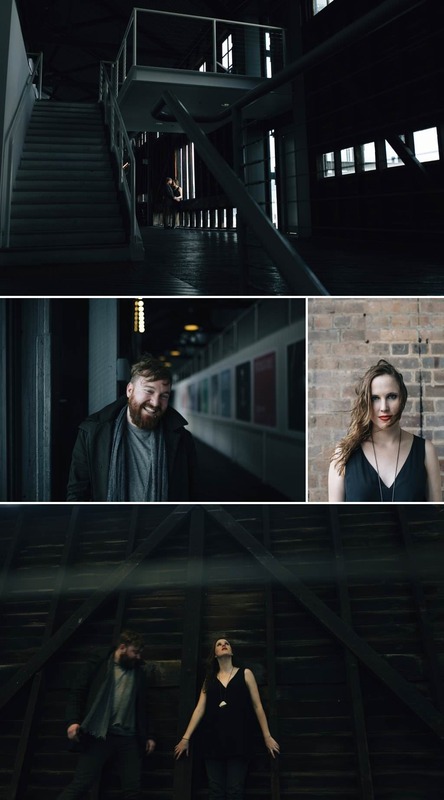 Chris and Lis who see them selves as a little quirky have this cool architect look going on and it was a real pleasure to photograph them with old and new buildings to set the scene. 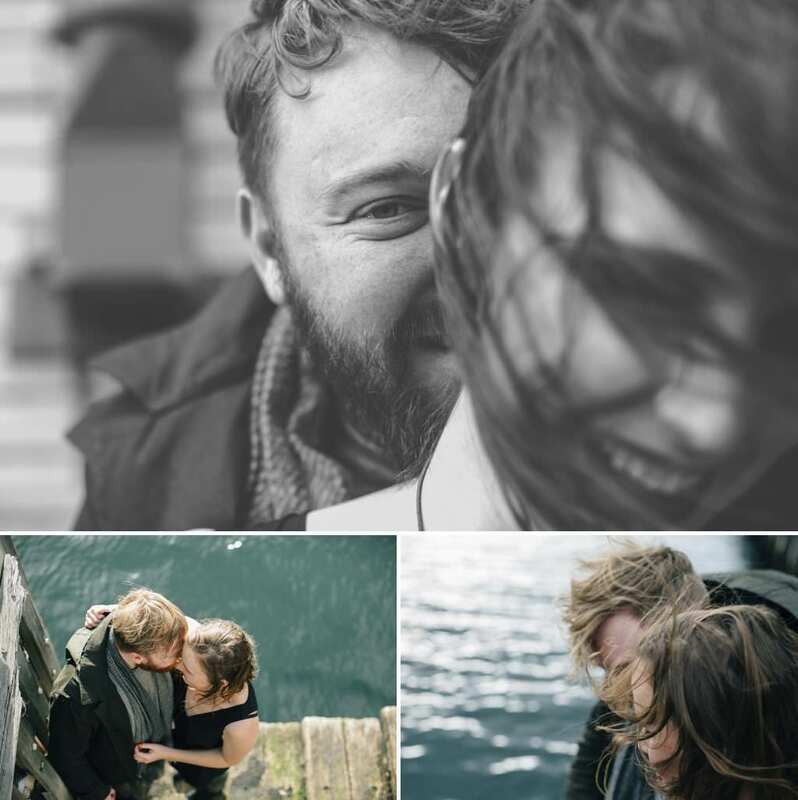 We always feel we are doing our work well when couples can just be themselves in front of the camera and Chris and Lis were the perfect example of this. 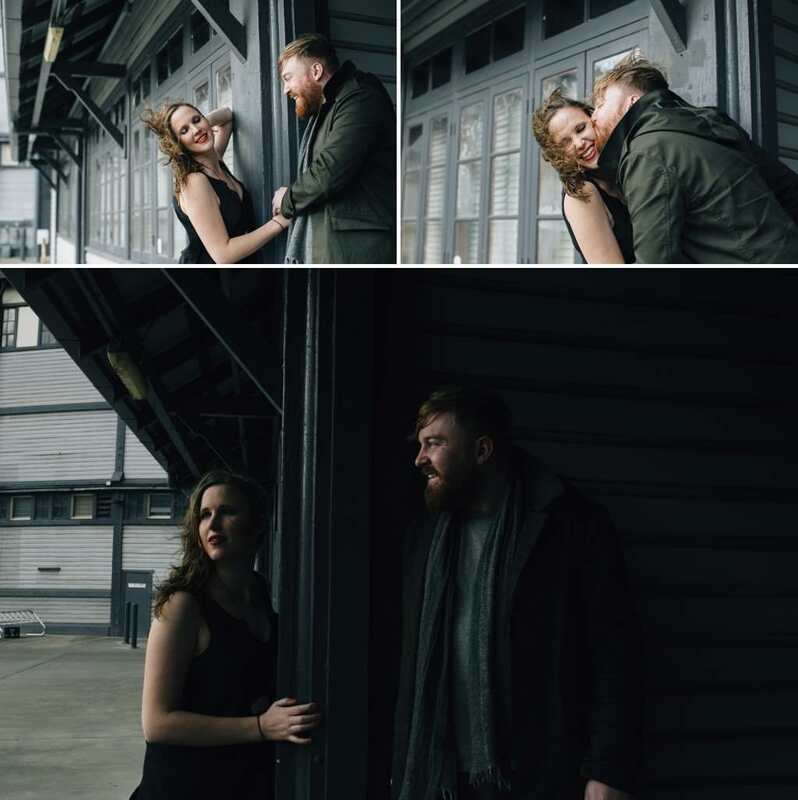 They also have a wonderful connection that we feel radiates through their pictures and we can’t wait to photograph their wedding at the Paddington reservoir and their reception venue, the Grounds of Alexandria.